Templates are files that acts as a starting point for a new document. When you open a template, it is already in a precreated and preformatted. When you start to save a file you made with a use of a template, you are generally prompted to save a copy of the file so that you do not save over the template. Templates can either come with a program or be created by the user. Using a template is a big help to us. 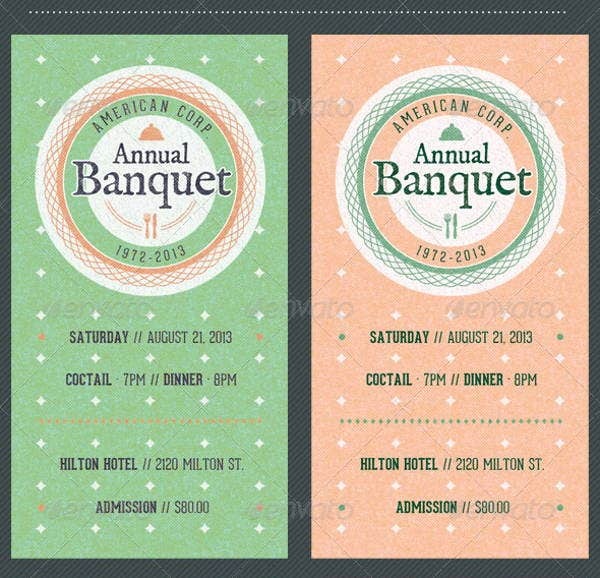 Making invitations, plans, letters, or resumes can be hassle free because of the templates. It can save more time and effort. 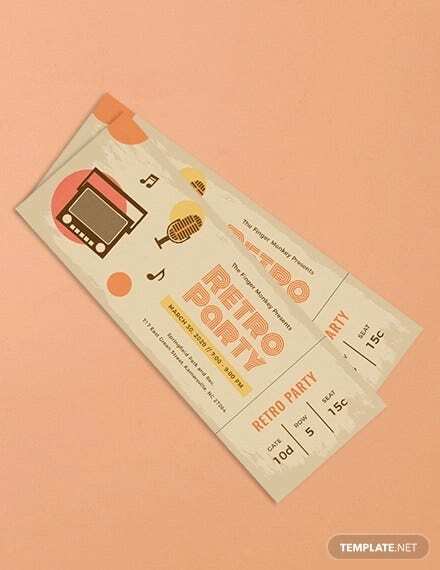 That is why we’ve created these templates for you to utilize—to be specific, these are vintage ticket templates, perfect for that retro invitation look. 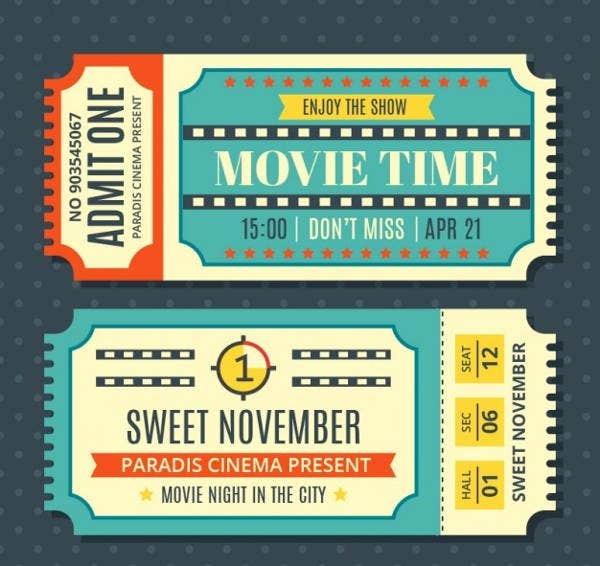 A ticket is a coupon that illustrates that one has paid for admission to an event or establishment such as a theater, amusement park, or tourist attraction; or, simply, authorization to travel on a vehicle (such as with an airline ticket, bus ticket, or train ticket) typically because one has paid the fare. A ticket may be free and serve simply as a proof of reservation. 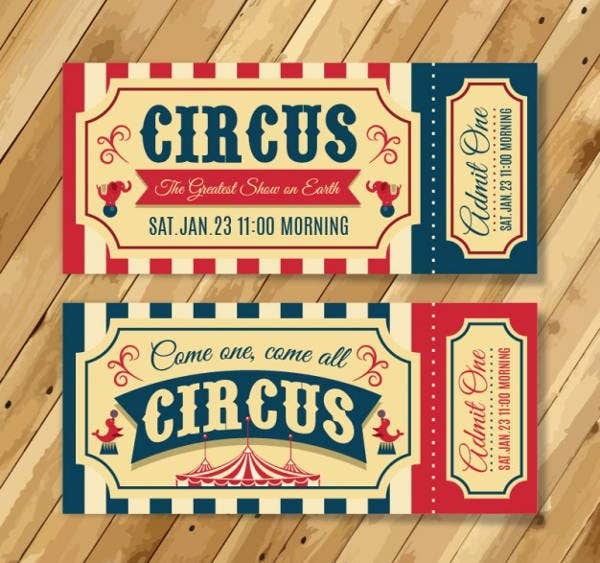 It is then necessary to have a presentable and unique design for a ticket, regardless if it’s for a concert, travel, movie, circus, or any event that needs it. One can purchase a ticket at a ticket window or counter. The ticket check may also be there or it may be separate. Tickets are also available from resellers. 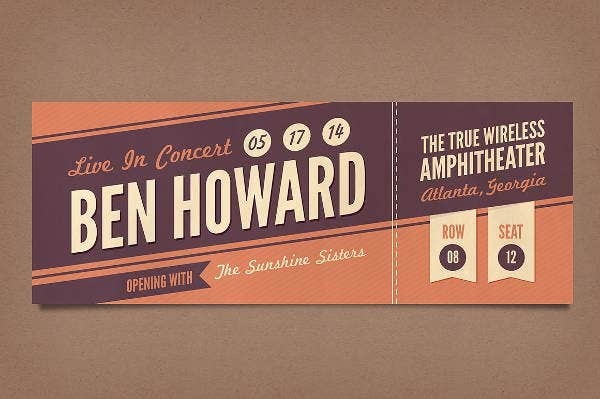 Resellers typically are commercial enterprises that purchase tickets in bulk and resell them to members of the public, adding a fee. Customers support resellers for reasons of usefulness and availability. 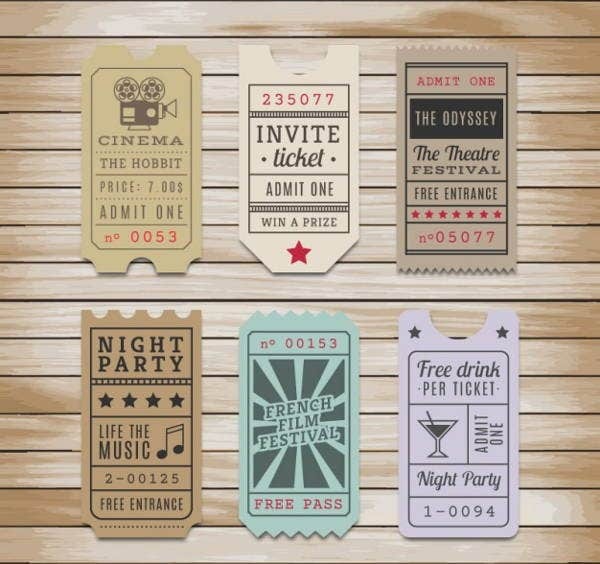 The convenience factor relates to being able to get tickets locally and also being able to make alternate choices on the spot if the preferred performance is not available. 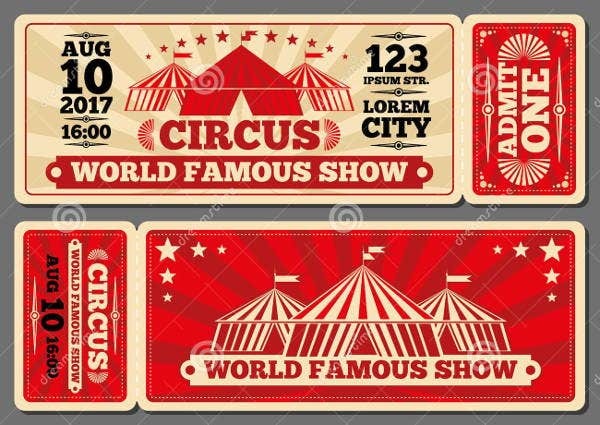 The availability factor relates to the fact that all tickets may have been sold out at the box office, requiring the purchaser to either acquire tickets from the reseller or not to see the show (or at least not see the particular performance of choice). When Printing Tickets . 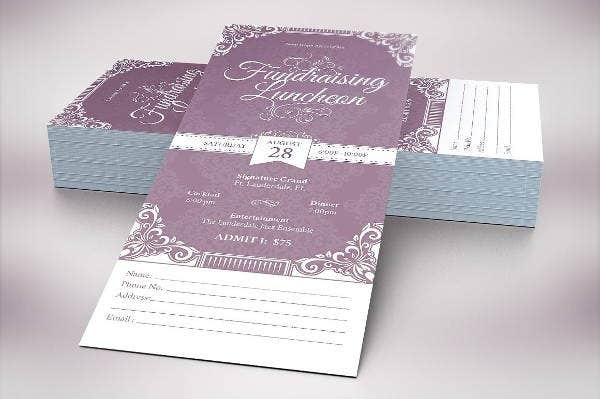 . .
Paper or card paper is usually utilized, although plastic may be used instead for sturdiness. Some have a barcode or magnetic stripe for keeping simple data saved on them; higher-end ones use chips to store more data and avoid copying. 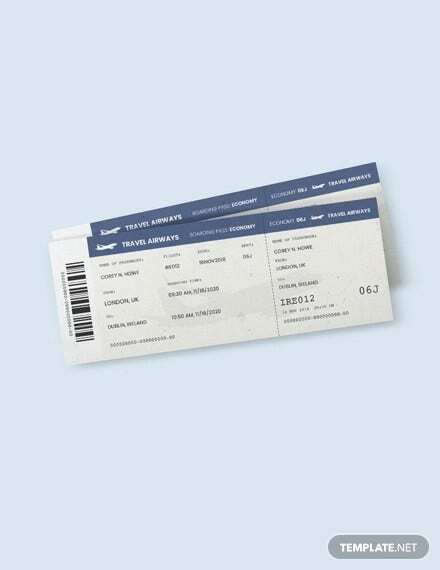 Tickets may be printed in advance or fully or partly printed when issued or it may be a printed form that is completed in handwriting (e.g., by a train conductor who does not carry a ticket machine, but just a supply of sheet and a pen). 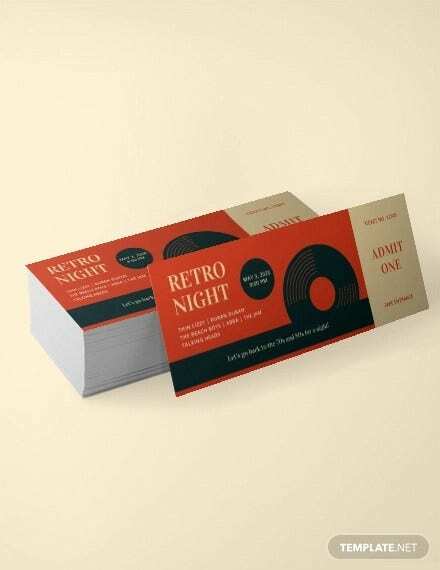 Since this is about tickets, if you are looking for awesome ticket designs, our vintage collection of tickets is a must-have. Each has a unique design with warm- and light-toned colors. 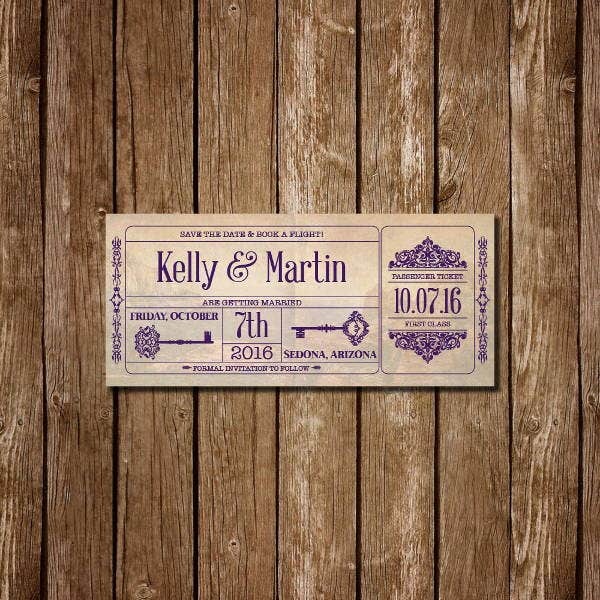 Not only that, you can edit them if you want, adding more details or change the font. Each also contains a good-quality image, and the layouts are well illustrated. You can download them straight to any device and print them easily. 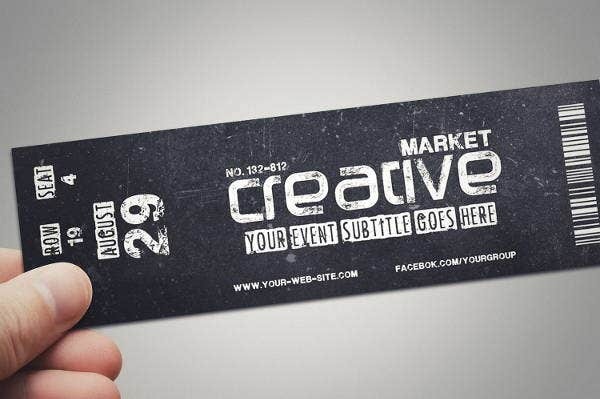 These templates are convenient and hassle free, aren’t they? 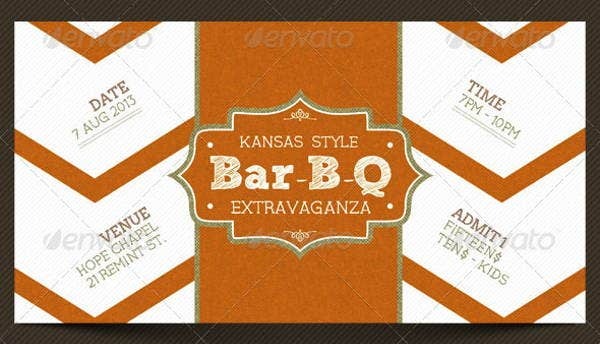 So stop looking for other designs and choose these awesome layouts instead. People will surely be amazed by how good it is. There are 9 selections for you to choose from. 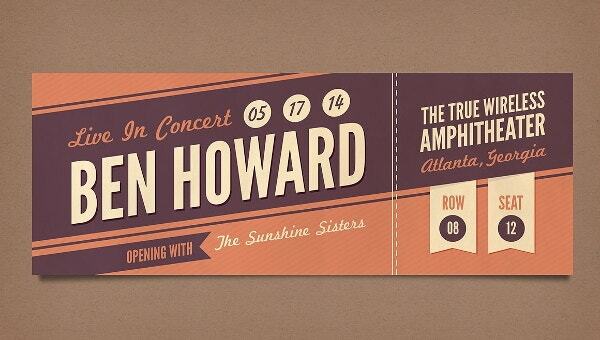 And for more options, see more printable ticket templates on our website.